KillMySpeakers - Your number one portal for electronic music! The three masterminds behind Noisia have released a four track EP of which two of them are collaborations with Phace and The Upbeats. If you're into dnb you have probably heard Noisia before and then you know exactly what to expect. My favorite of the four tracks is defenitely 'Dustup', the collaboration with The Upbeats. A masterpiece it is. Alright, time for mixtapes again! 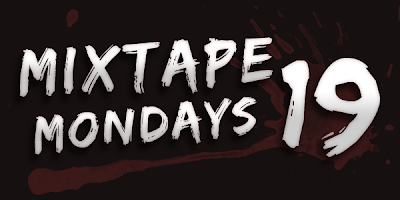 A little more mixtapes this time, to compensate for the empty space last monday. 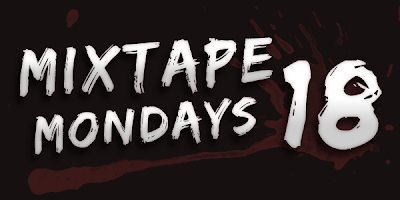 The mixtapes are made by F3RAL, GTA, Dada Life, Midnight Conspiracy, CHASE, Mat Zo and Drumsound & Bassline Smith! As you may have noticed KMS have been silent for a couple of weeks. I guess it's because of my schoolwork combined with lazyness and I'm sorry for that. I'll try my best now to keep on giving you the best music on here! So, to break the silence I want to show you guys a song made by a friend of mine, who goes under the alias Fenomenet. The song is called 'Carazone' and was released on Guena Records. It's a really cool track with elements of complextro and dubstep, check it out below and purchase it on Beatport today! It's a sunny day in Sweden and It's going to be a crazy night tonight. You don't really long for mondays but today is an exception! 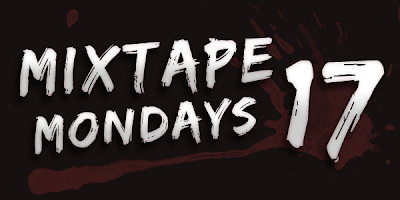 And since it's monday you'll also get your weekly load of mixtapes. This time they are by Lunde Bros, Promise Land, Bro Safari and Busy P.
Hey guys! Since we have a long weekend ahead of us I think it's about time to update with some music. The songs varies in genres so I guess there's something for everyone is this post. I wish you all a crazy holiday! It doesn't come as a very big surprise when something from Skrillex label OWSLA sounds awesome. This EP by the somewhat mystical trio The M Machine was released today and I must say I'm impressed! I'm not a huge fan of The M Machine but I really like how they are trying new stuff and releasing an EP with tracks that sounds different to each other. It all becomes more of a journey than just some repetive bleep bloop sounds, I like that. The more I listen to these tracks, the more I like em. If you find yourself in the deep woods of southern Sweden this summer you can see The M Machine perform live at Emmabodadfestivalen, with Porter Robinson, Steve Aoki, Zedd and many more. I'm sorry, again, for the lack of posts but I seriously have trouble finding good music nowadays, I think that lots of the stuff that's been released lately sounds like crap to be honest. I'm getting really tired of overused sounds.. Anyway I have some mixtapes for you guys, created by Diplo, Gregori Klosman, Jack Sword, PrototypeRaptor and Darwin & Backwall! After his latest release with Guetta and his free giveaway 'Tension', Nicky Romero now previews his upcoming remix of Eva Simons' (Singer in Afrojack's 'Take Over Control') song called 'I Don't Like You'. Romero's signature growling bass makes a great contrast to Eva's beautiful voice. That particular monster bassline at 1.08 gives me chills. Releasedate is set to be May 22nd. 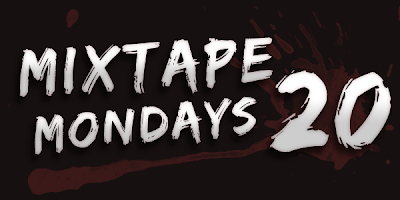 Your weekly load of mixtapes has arrived, and this week's edition contain mixtapes by no other than Imanos, Felix Cartal, Bart B More, Pierce Fulton and the swedish duo CHASE! Miles Dyson's Plasmapool Records is one of the leading complextro/electro house imprints in the world with great releases that has created a whole new level of music, including stuff by Mord Fustang and Probe to name a few. Today is the day for yet another big release, by Joe Garston. The track is called 'Random Hero' and here is what to expect before pressing play: Energy, sweet melodies, big synths and of course monstrous bass and groovy synth stabs. KillMySpeakers is your number one portal for discovering the wonderful world of electronic music. Are you a DJ or producer and want to get your music published? Mail your stuff right now! Are you owner of material on KillMySpeakers and want it to be removed? Tell me and I will remove it as fast as possible.